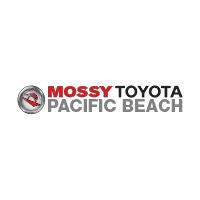 – Oil Change & Filter Change: Extend the life of your engine and ensure that your car is running as efficiently as possible by scheduling an oil change in San Diego at Mossy Toyota. We’ll get you in and out of our dealership and back on the road in no time at an oil change cost to best the competition. – Brake Inspection: Are your brakes making a grinding sound, or have you noticed your car pulling to the right or left? A quick brake inspection can tell you how much longer your brakes will last, and can help to keep you safe out on the road. – Tire Rotation: Keep your car running smoothly, enjoy superb handling and make braking and maneuvering easier by getting routine tire rotations. Plus, when you rotate your tires frequently, you can extend the life of your set of tires. – Fluid Inspection: If you notice your car responding sluggishly or failing to handle as smoothly as it once did, you might need a transmission fluid flush, new steering fluid or other service. We can do it all at Mossy Toyota. Schedule a service appointment at our Toyota service San Diego garage. We’re happy to answer any questions you have about the work your Toyota needs! In a hurry? Be sure to stop by our Toyota Express Maintenance drive-through for swift service. In need of OEM Toyota parts? We offer a comprehensive selection of Toyota parts San Diego drives trust for quality.